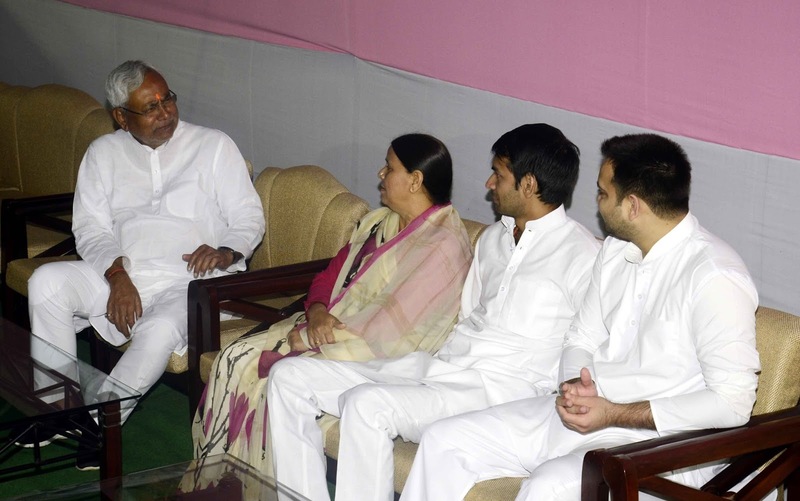 Nitish Kumar learning the ‘tricks of the trade’ from Rabri Devi? PATNA: Bihar chief minister Nitish Kumar seems learning the tricks of the “trade” from his arch-rival Rabri Devi, wife of incarcerated RJD chief Lalu Prasad. So far, only Rabri Devi was known for her love for cows but now Kumar too has shown his fascination for rearing bovine. The otherwise hidden facet of the chief minister came to fore when he declared his assets while filing nominations for the Bihar council polls recently. As per declarations made in his poll affidavit, Kumar is currently the proud owner of 16 cows and calves. As such, the number of cows has registered a four-time increase in the past six years. In 2012, he had only two cows and two calves. Rabri Devi, on the other hand, currently owns 59 cows and calves, according to her official declarations made at the time of filing nomination papers on Friday. All these bovines are part of her dairy business which she runs to cater to the needs of her family even as her family faces the charges of owing properties disproportionate to their known source of income. There is an interesting twist to her dairy business though. The available information shows the number of her cows has come down in recent years, amply indicating she is slowly losing interest in the business. Till 2010, she had more than 104 cows but now their number has come down to 59 only!